Similar to many other carmakers Volvo is on its way towards testing a self-driving technology. So far, we heard about a lot of self-driving tests done by some gigantic automobile companies. All of them include a group of engineers who sit in the car for technical assurance, and they also grab data comprising of the car’s behavior to know what works well and what doesn’t. 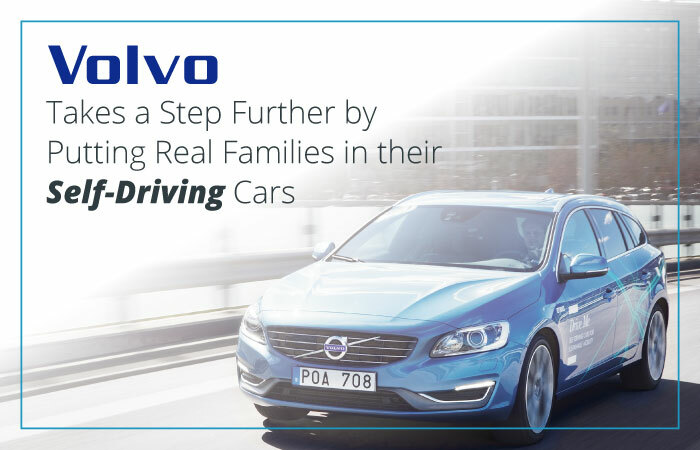 Here in the case of Volvo, the story is slightly different as the automobile company is conducting its first self-driving test with an ordinary family, the Hains from Gothenburg, Sweden. The reason for making Hains family a vital part of this test is quite interesting. Volvo wants ordinary people experience the self-driving test. How such people react when the car goes from manual to autonomous modes, and what sort of reaction comes out of their face while they are not taking the wheel? Well, we will have to wait for the impact of this test. However, Volvo looks optimistic to launch its first fully autonomous vehicle somewhere around 2021. Welcome to the new hit-counts.com website and blog where we will update latest information regarding our hit counter and web stats counter services along with articles related to information technology, graphic and web design services. The website will be a single source of information related to key analytics in addition to the existing web counter services that we already provide.